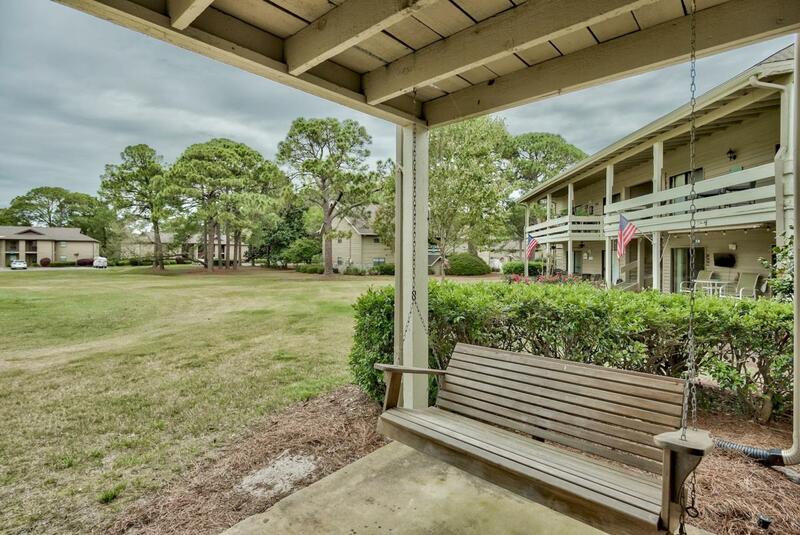 Amazing value for a Garden Villa at Seascape Resort, a gated golf, beach & tennis resort in Miramar Beach, nestled between Destin and 30A. 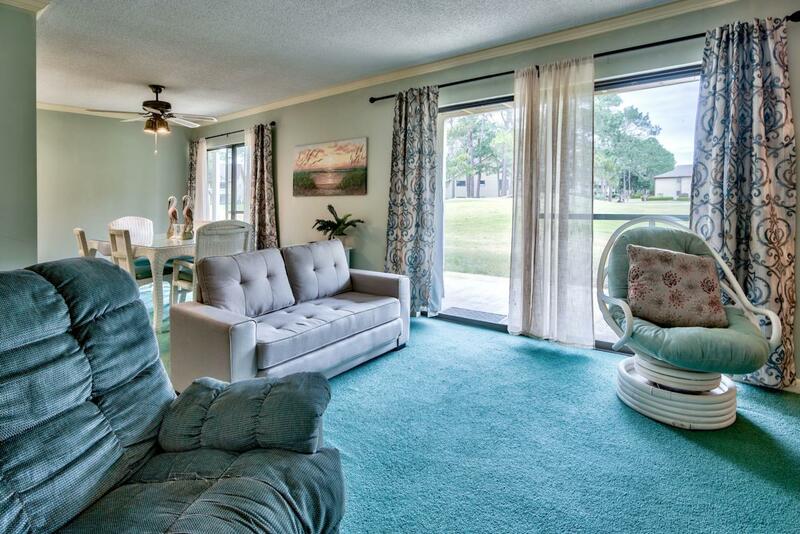 This charming 2-bedroom, 2-bath condo is located on the golf course and offers a great patio perfect for relaxing. Even though this is a condo, you have a low density feel compared to a high rise with a nice tropical setting. There is a fantastic pool, hot tub & sun deck nearby, along with the new Seascape Towne Center for dining & entertainment and a designated beach with over 2,000 feet of beachfront. This is a prime vacation rental investment, second home, or full time residence. Being on the ground floor, you have easy walk-in access & an additional storage area on the exterior perfect for your beach gear! Start enjoying the coastal lifestyle today.The interior offers a spacious living & dining area with crown molding and great natural light from the large sliding glass doors that span across the wall. Access the covered patio and take in the views of the tranquil setting and landscaping. The grounds, exterior maintenance and recreation areas are all maintained by the HOA, so there is no hassle! This 2-bedroom unit is being sold fully furnished & decorated and is turn key. Some updates have been made to the furniture and there are flat screen TVs in each room. There is a great dining area for six off the kitchen with access to the patio. The master bedroom is generously sized and offers a king bed and en-suite bathroom for convenience and privacy. There is a guest bedroom with a deluxe bunk and flat screen and additional guest bathroom with tile floors. The patio is one of the highlights to the unit and the perfect place to relax, entertain or enjoy outdoor dining. 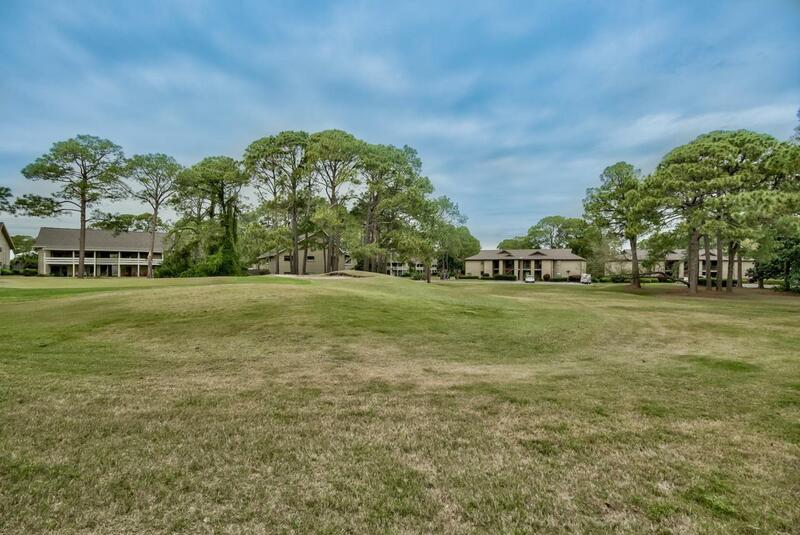 Resort amenities include 8 tennis courts, 18-hole championship golf course and pro shop, Cabana Cafe, bike rentals, seasonal tram & beach service, Whale's Tail beachside bar & grill and the brand new Seascape Towne Centre. The Towne Centre is a 55,000 square foot commercial lifestyle & retail development designed around family entertainment and the perfect vacation experience. 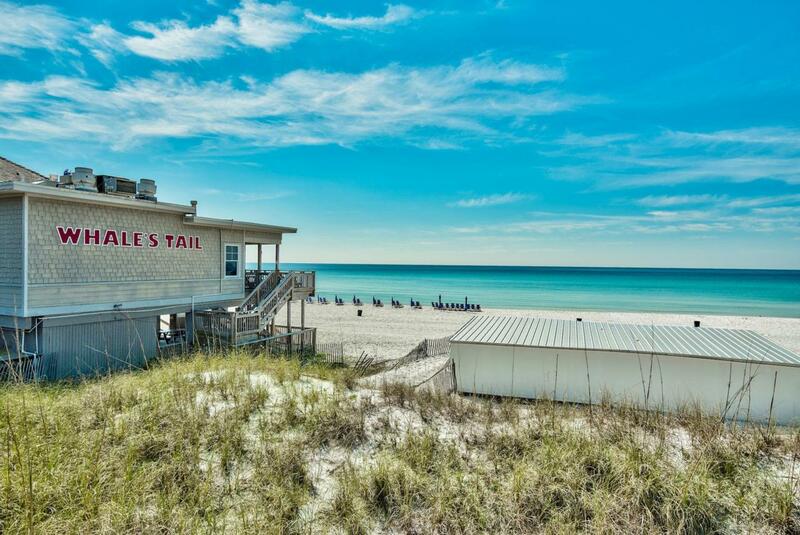 They have many conveniences including a coffee shop, wine & spirits, surf & skate shop, Mexican Grill, laser tag and local's favorite, Acme Oyster House! You have everything you need at your fingertips within the resort, but if you want to venture out there are many additional dining, shopping & entertainment options nearby. Silver Sands Premier Outlets, Grand Boulevard Towne Center and Destin Commons are all in very close vicinity. Paradise (on a budget) awaits.